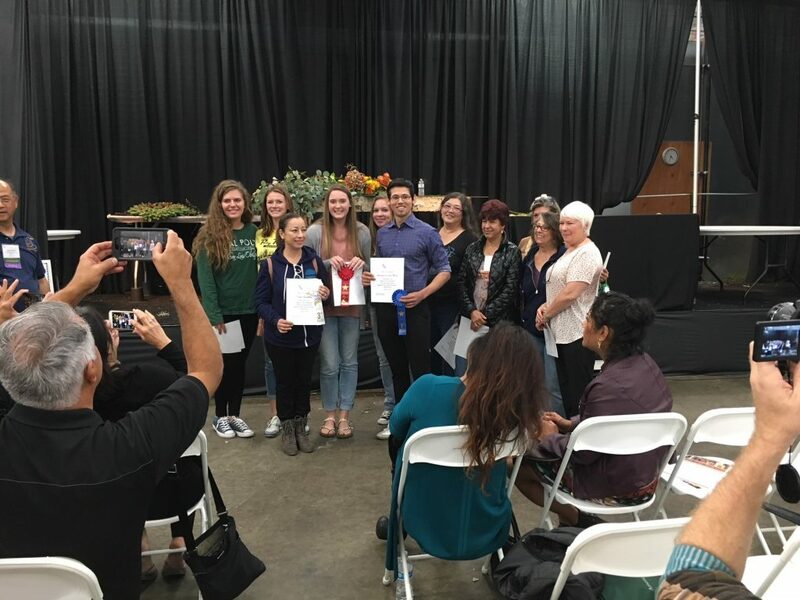 The California Cut Flower Commission (CCFC) recently sponsored the California State Floral Association’s 12th annual student design competition at CaliFlora 2017 held at the International Floral Trade Center in Carlsbad, California. Winners from the CaliFlora student competition, sponsored by the California Cut Flower Commission. Fifteen students representing California Polytechnic University, San Luis Obispo; City College of San Francisco and Mission College participated in the timed competition. Armando de Loer Mejia of City College San Francisco won the competition, with Alyssa Snow of Cal Poly coming in second and Isabel Sarellano of Mission College taking third place. The People’s Choice Award went to Paula Knapp of Mission College. CCFC Chair Diana Roy of Resendiz Brothers Protea with Mel Resendiz (right) and Rene Van Rems (left). 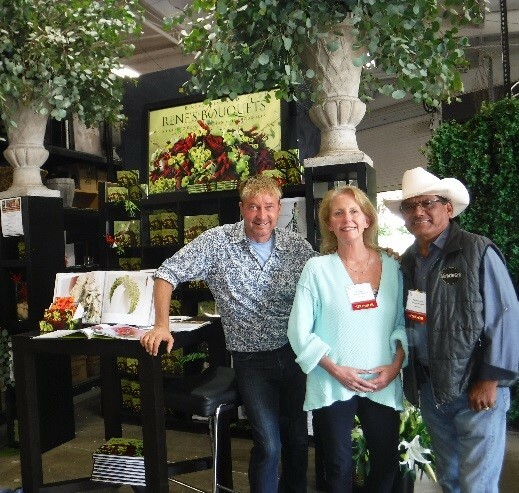 CCFC Chair Diana Roy attended the two-day CaliFlora event known for its certified florist exam, hands-on design workshops, Top Design Competition, student design competition and feature show. The CCFC is proud to support the next generation of floral designers by sponsoring the student competition at CaliFlora.